Louisiana’s economy has benefited a lot from the energy industry. 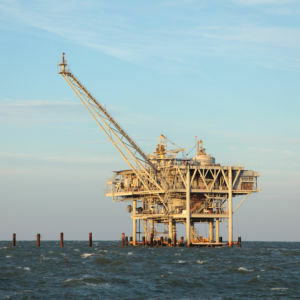 For decades, oil and natural gas wells in the Gulf of Mexico, as well as the refining and other support industries on shore, have given the state billions of dollars in tax revenue. At the same time, various conservation groups and other special interests in the state have worried about the effects of the industry, including oil spills and coastal erosion. For decades, regulators have tried to mitigate these harms through permitting policies which have become more extensive over time. Now 2018 is shaping up to be a year where oil companies operating in the Gulf will be forced to justify their practices in court without any specific violations being in question. Twenty coastal parishes (out of a total of 60 in the state) are filing lawsuits against oil companies who either are operating or did operate in the area. The lawsuit is surprising in its breadth. Each company is being sued individually and the list of names includes both major companies like Chevron, Shell, BP, and ExxonMobil, as well as smaller companies that no longer operate in the area. In part, the lawsuit looks back to the 1930s, when development in the area began. The case is not the first one to go after the industry for coastal erosion. One of the first cases filed against oil companies seeking damages for coastal erosion was filed in 2013. That case sought to force the oil companies to pay to fill in canals and restore wetlands. The lawsuit was soon joined by others, but the entire process became bogged down in the courts. Louisiana Gov. John Bel Edwards, a Democrat, has brought the lawsuits back into play, laying the foundation for what could cost the industry tens of billions of dollars and earn trial lawyers hefty fees. In May 2016, Edwards met with representatives of more than 30 companies, asking them to settle and pay to repair damages in coastal counties. To the industry, this meeting was fundamentally flawed, since it did not include any attempts to discuss a reasonable liability structure. Under Louisiana state law, there are no damage caps on this type of liability lawsuit. Instead, a plaintiff can, in theory, recover more than the market value of the property in damages. In addition, state law allows for “legacy” lawsuits against companies that had developed an area previously, but are no longer working there. In August, trial settings for some of the lawsuits were established. An attorney for one of the oil companies, speaking on background, said that one judge even announced that he was clearing his 2019 docket to hear these cases. This is concerning for the oil industry, which is still fighting to have the cases thrown out or shifted to federal court. The oil industry is contesting the lawsuits, arguing that coastal development complied with all necessary regulations in place at the time the permits were issued. Most oil development in the coastal region occurred before the current regulatory structure was put in place in the 1980s. Between 1930 and 1980, the companies operating in this zone complied with the regulations in place at the time. In addition, development in the coastal zone is managed by the Coastal Zone Management Act, a federal law. Attempts to shift the lawsuits into federal court, in reflection of this, have so far been unsuccessful. At these early stages, arguments are centering around the parameters of the case. One of the issues at play is “broad discovery,” which would allow the state access to oil company files. This is vary similar to the discovery orders at the heart of the ExxonKnew campaigns in New York and Vermont. Edwards’ office did not respond to multiple requests for comment. The most recent set of lawsuits has the potential to increase the cost of doing business in Louisiana even more than that. For an industry that is tied to specific geological deposits that cannot be moved, the regulatory structure of Louisiana has made doing business increasingly difficult. The start of 2018 shows that Louisiana’s fraught relationship with energy development continues.